Forest City Business Equipment is an Authorized Dealership for Panasonic, Oki-Data, Kyocera, Nakajima and Dahle. We offer a full-line of copiers, printers, scanners, fax machines, shredders, folders, electronic whiteboards and typewriters. Through all the years and many changes, one thing has remained constant – customer service. At Forest City Business Equipment, the customer comes first. You can expect the highest level of service possible from our staff. 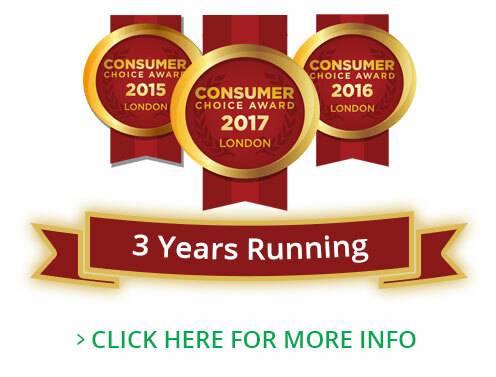 Forest City Business Equipment takes great pride in achieving multiple Consumer Choice awards from 2015 to 2017. George Payne, a 12-year veteran in the business equipment industry, started Forest City Business Equipment. The business started in his grandmother’s basement on Rectory Street in London Ontario. By November of that year, the company had seen such rapid growth that it was necessary to move out of the basement and into a larger space. The company purchased a building on Hamilton Road in 1985. The company grew at a steady pace, selling and servicing typewriters. It continued to widen its scope of office equipment and services to its loyal following. In 1986, FCBE was hooking up computers to typewriters, to make them communicate both ways instead of just as a printer. It was a feature unheard of in the typewriter world, but we did it. Forest City Business Equipment became an Authorized Dealer of TEC cash registers. Soon they went from zero to the largest dealer for sales and service volume in Canada in both 1989 and 1990. In 1992, Forest City had the opportunity to become the new Panasonic Copier Dealer for the City of London. In April 1993, the Panasonic facsimile division, Panafax, named Forest City as its newest dealer. The main focus of Forest City’s operations turned from typewriters, calculators, and dictation equipment to copiers and fax products. FCBE started with a small base of customers that grew to many contracts, time and material customers by 1999. George Payne receives Bob Tudhope Award from the Victoria Family Medical Centure and the 2002 Ontario Service Award. Since that time, technology has exploded with multi-functional equipment. FCBE has kept pace with the technology by creating additional relationships with OKI-Data and Kyocera. Managed Print Services is more important now than ever as companies struggle to keep their costs down and improve workflows. Because of this, FCBE proudly offers this crucial service to its clients. 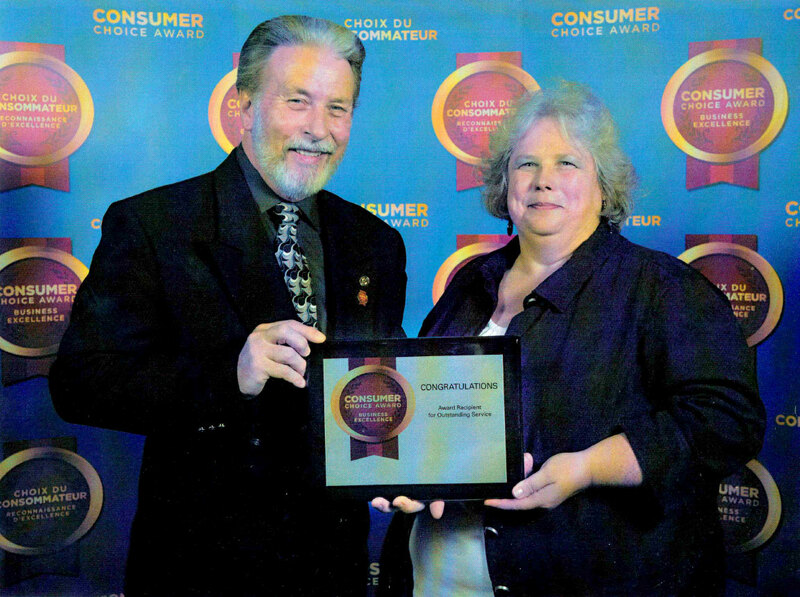 FCBE receives the consumer choice award for outstanding customer service 2015. Forest City has assisted John Davidson and Jesse’s Journey with their business equipment and service needs as well as being a financial contributor. FCBE is a proud sponsor of the Rowbust Dragon Boat Racing Team with their office equipment needs and services. 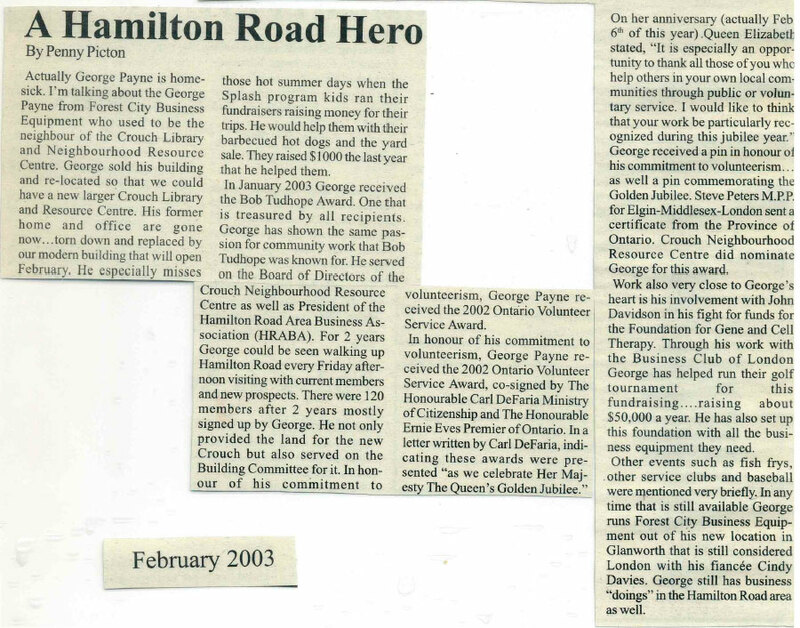 George was a Past President of the Hamilton Road Area Business Association. FCBE is a long-standing member of this London-based club that started in 1954 and continues to prosper. 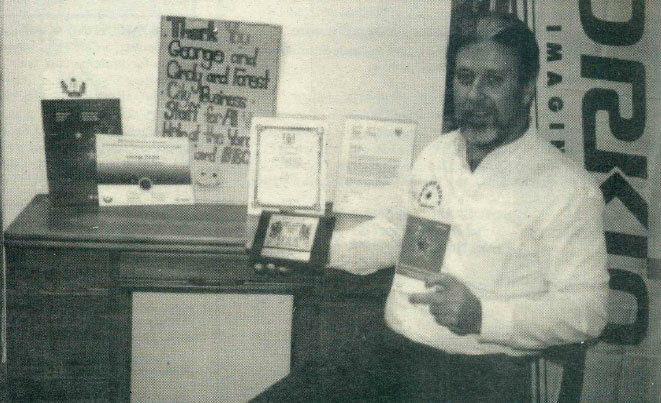 George is a member of the Legion, Branch #176. For many years, he’s contributed with needed equipment and service wherever possible across Southwestern Ontario. FCBE is a member of CFIB, which represents the interests of the small business community to all three levels of government. They fight for tax fairness, reasonable labour laws and reduction of regulatory paper burden. Business Equipment for: Southwestern Ontario, London Ontario, Sarnia Ontario, Waterloo Ontario, Kitchener Ontario, Guelph Ontario and Brantford Ontario.